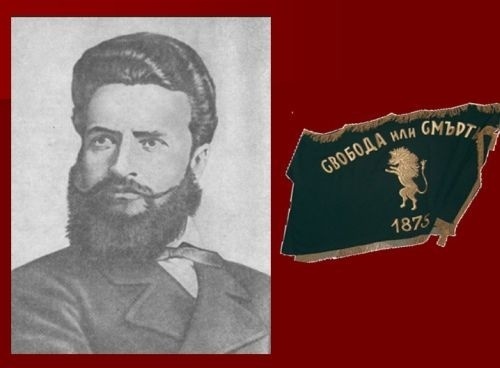 Bulgaria marks Wednesday, June 2, the 134th anniversary of the death of one of the most prominent Bulgarians - the publicist, poet and revolutionary Hristo Botev, who gave his life for Bulgaria's independence. The anniversary will be commemorated all over Bulgaria with official ceremonies and laying of wreaths. At precisely 12 noon sirens invite people to a minute of silence to pay their respect to Botev and all people who have perished in the fight for Bulgaria's independence..
Hristo Botev was born on December 25, 1847 in the town of Kalofer, in the family of the teacher Botio Petkov and Ivanka Boteva. From a young age, Botev was noticed for his intellect, talent and rebel spirit. He left Bulgaria to study in Russia where he became strongly influenced by Russian revolutionaries. He was expelled from school and started working as a teacher as well as newspaper publisher, collaborating with the entire revolutionary immigration. Botev began writing poetry while still in school, under the influence of the Bulgarian folklore and songs glorifying the "haiduts" - rebels and outlaws fighting the Ottoman oppressors. His first poetry book was published in 1875, together with Stephan Stambolov, under the title "Songs and Poems from Botev and Stambolov." Botev's poetry soon became very popular and his poems turned into folklore - they were sung as folk songs without people even knowing their author's name. After the start of the April Uprising, which had the goal to liberate Bulgaria and is considered the apogee of the fight for independence, Botev began organising a troupe to enter Bulgaria and help the rebels. Botev and part of the troupe boarded the "Radezki" ship in Gurgevo (Romania) on May 30, 1876. From the ship Botev sent articles describing the grave situation of the Bulgarian people to several foreign publications as well as his famous goodbye letter to his family. The troupe convinced the German captain to let them leave the ship at the Bulgarian port of Kozlodui and started moving in the direction of the Balkan Mountains where most of the battles of the April Uprising were taking place. On June 2 Botev's troupe engaged in its heaviest fight with the Turkish army. Botev was hit by bullet and died at the foot of peak "Vola" in the Balkan, near the town of Vratza. June 2 was officially declared as the Day of Botev and of Those Who Have Perished in the Fight for Bulgaria's Independence on May 31, 1993 with a decision of the Council of Ministers.